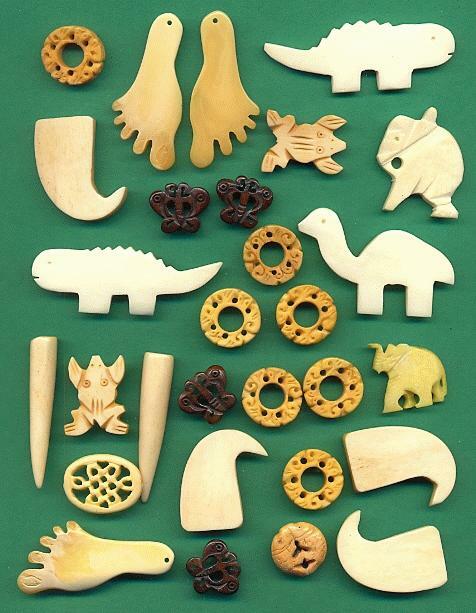 Price listed is for twenty-eight Mixed bone and horn pieces and possibly plastic. These pieces range from 18mm to 45mm. The claws and the frogs are partially drilled for a up eye or screw peg.The flat wide claw looking pieces and the lizards are not drilled. The feet and the elephant are drilled from front to back or side to side for pendants and the rest are drilled from top to bottom for beads. I believe the feet may be plastic.